The Monogatari series is a series that not many people would appreciate of; it is dialogue heavy, and feels more like an anime consisting of powerpoint slide show. However, if one choose to look at it into more depth, the detail put into every line is actually immaculate, clever and aesthetic, if that's the right word. It is not for everyone to enjoy, but for those who can keep up with it will find that it is really enjoyable. This season continues the series with Owarimonogatari, as the story plunge into a more serious tone and some of the character past was explored, that will eventually lead to a chain of events in the future. 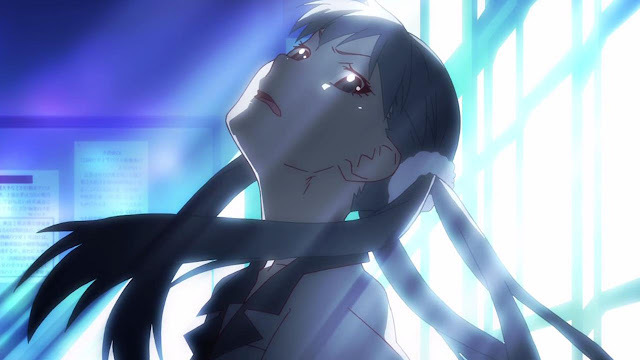 Owarimonogatari consisted of 2 main arcs respectively; the Sodachi Riddle/ Sodachi Lost arc and Shinobu Mail arc. Each of them occurs in different timeline with Shinobu Mail arc occurring much earlier, so the viewers had to readjust themselves to the setting after the first arc ended. If I were to describe the story in one word, it is probably 'filler'. The whole story in itself feels like a prequel story, before the final arc truly commence. The first part, Sodachi Riddle with Ougi Formula just before that was one of the pivotal moments of the season involving Ougi’s relationship and conversation with Araragi. 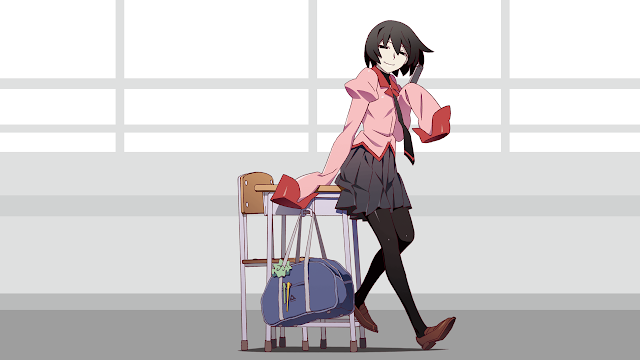 It is very mystery driven, starting off with Araragi and Ougi getting trapped in a classroom. As the main focus of the series is the supernatural theme, both of theme had to solve the mystery regarding a big event that took place in that classroom a couple of years ago to get themselves out of there. As the story progresses, into Sodachi Lost, the story continues its mystery theme but with much more emotional factors being put as a focus, before the protagonist could confront with his past once and for all. The second arc, which is Shinobu Mail, actually happens right before the previous arc like stated beforehand. 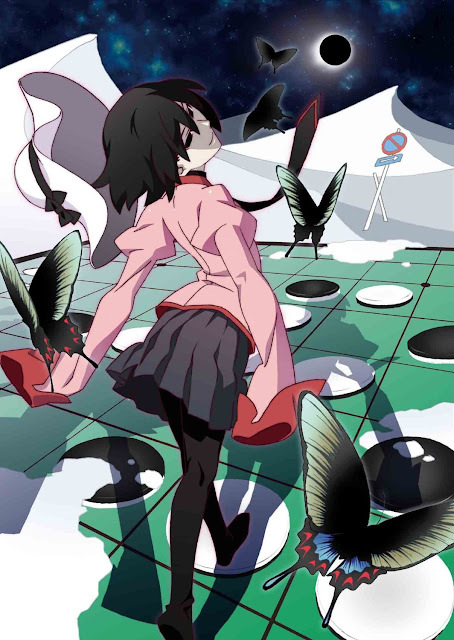 It explore Shinobu's feelings and her past with more depth, told by the conversation between Gaen, Kanbaru, Shinobu, and Koyomi. Some part need to be watched carefully as viewers could easily gotten lost with the daunting amount of information poured by the characters. The arc ended with the protagonist resolve strengthened, opening the path for more event that will soon to come. The problem with the story is that I wanted to see more surprising revelations like in the other stories in the series. However, for Owarimonogatari to start off so interesting and mysterious, then end with little sense of accomplishment was just a little bit disappointing and anticlimactic. Overall, it is a step down from previous Monogatari series, and should be treated as an expansion, or a filler to be exact. The cast for the Owarimonogatari are more or less familiar with most of them made a return in this season. Araragi is the same old Araragi, the clueless kind of guy who always need help from people around him to solve particular problems. In this season, the show makes his inability to actually think for himself more pronounced as most of the time the said job are being done by other characters; Ougi and Hanekawa in the first arc as well as Kanbaru and Gaen in the second one. He functioned more as an intermediary between the characters, although he is important in his role to actually act after the talk. The main star of the show however, is definitely both Ougi Oshino and Kanbaru Suruga in their respective arc. Compared to previous season, we get to see more Ougi this time and hear her bantering with the other cast. She still kept her mysterious aura, as little is known about her past story even till now. She has the ability to keep the conversation to go whenever she want to, at least in the case with Araragi. She seems to know everything, yet her playful manner keeps her mind to be obscured from other people. It’s hard to trust or know what her true intentions are. However, her role in the arc is meaningful as she guides Araragi to the truth. 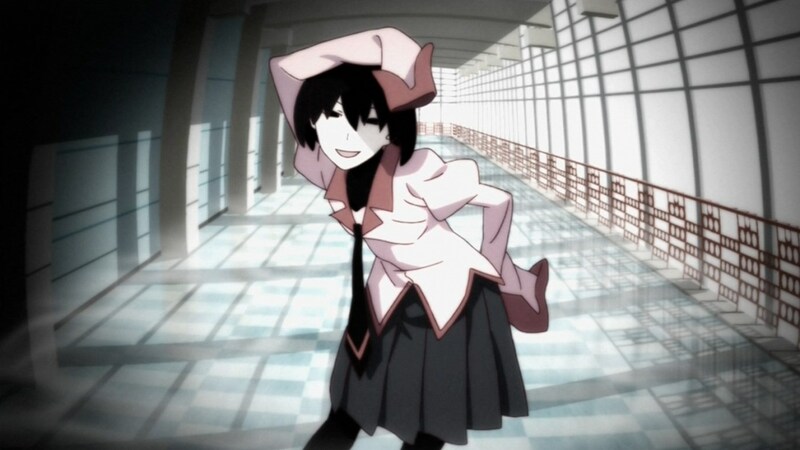 Yet at the same time, Ougi’s words and actions seems to suggest that she is attacking Araragi’s insecurities. 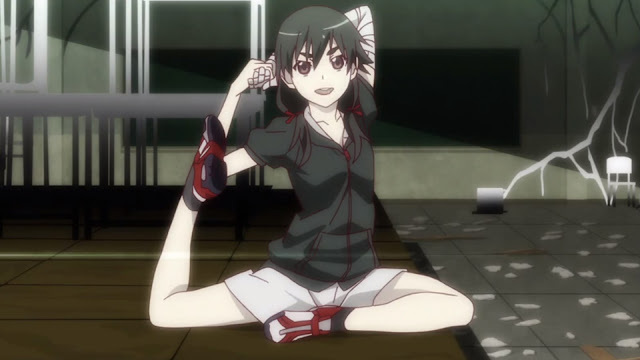 Kanbaru in this season made a comeback as an important supporting character. She serve as a comic foil which is really entertaining, with some of her suggestive innuendo jokes. It's hard to forget with her recurring catchphrase "eat up!" accompanied by her dynamic pose. 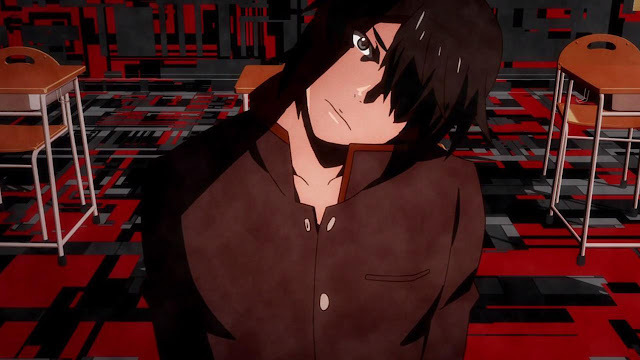 She however, helps Araragi, as well as Shinobu to be true with their own feeling eventually finishes their confrontation with the apparition serving as the villain in that current arc once and for all. Other characters include Sodachi Oikura who is the title character for the first arc, where she is shown as someone who looks like hate incarnate but deep inside there is actually more than what it meets the eye. Shinobu Oshino is the cute loli vampire that we all love who appears after 2-3 episodes into her arc, and pretty much consistent in term of development. There is also Hanekawa Tsubasa who serve as an antithesis to Ougi, as well as both returning character Gaen Izuko and Ononoki Yotsugi who are there to help Araragi in the later part of the final arc. As a final thought, in term of cast, it is good to actually see the characters to return and actually shows some development as we get to know more about them. Shaft had their own distinct, unique style of art and animation that are recognizable instantly. 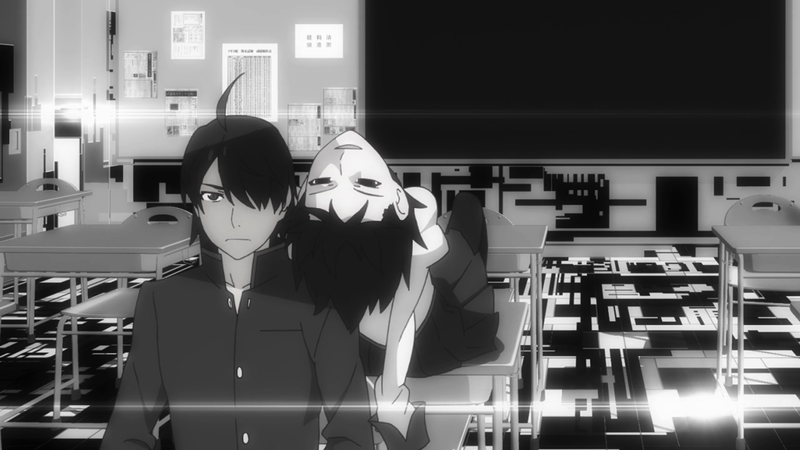 It is something that we all grow to cherish and love to after watching it so many times now, and Owarimonogatari is no less the same. They still maintain a high-quality art, coupled with smooth animation presented in a slide show theme to give off the mystery vibe of the anime. The usage of symbolism as well as cartoonish art at time gives tons of variation to alleviate the sense of heavy talking this series had. 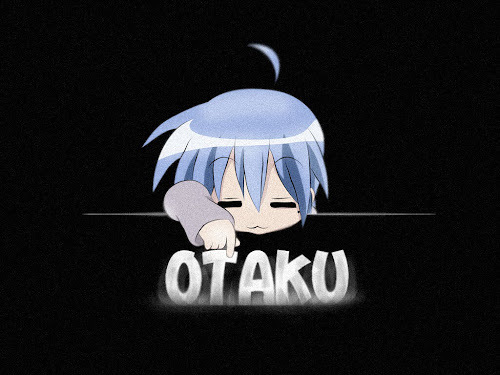 As for the OP and ED song, both of them are top notch in term of presentation and music wise. There are 3 opening in totals for each of the arc, each of them with their own visual aesthetic to couple with the story happening in each arc. From the spooky yet calm OP of Ougi Formula, to the much upbeat and eccentric OP for Sodachi Riddle/ Sodachi Lost and finally the eerie OP of Shinobu Mail, complimented by classical instrument and grim art. The ED song is no less impressive, which is a lot more calming and beautiful to contrast with the story. The OST used are iconic, fitting very well with each scene. It is filled with variations of music that work perfectly as the series changes tone. 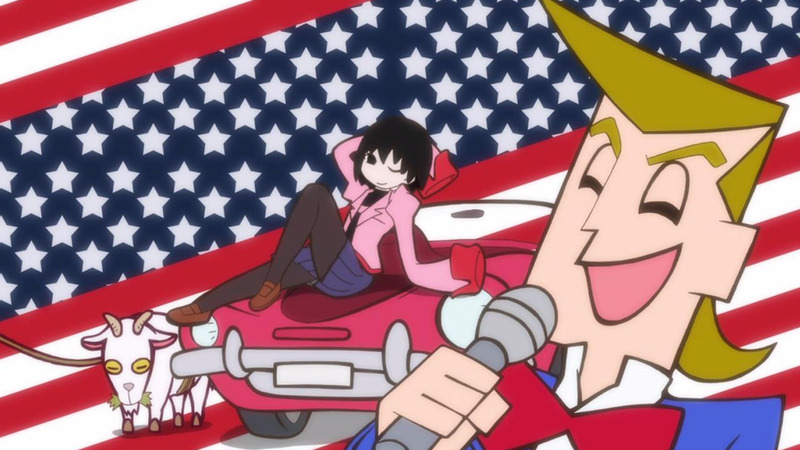 Overall, the anime marvelously performed in term of both art and music quality. 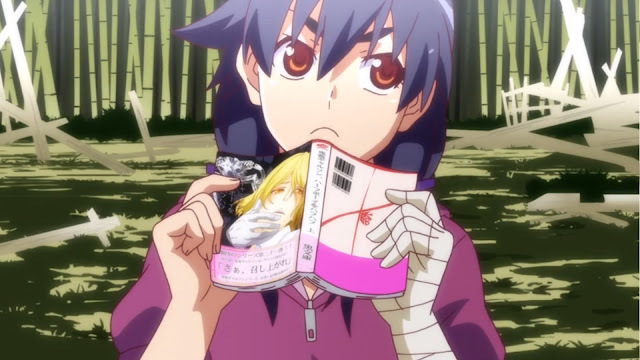 Monogatari series is not the kind of series that I would casually give recommendation for people to watch. Viewers need to attentively watch and read, understanding what the characters’ roles, dialogues, and word plays mean to appreciate the story. 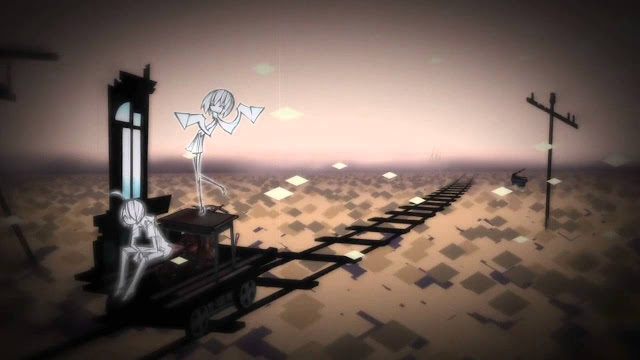 For fans that actually follows the series, Owarimonogatari is definitely a treat that helps well to expand the knowledge of the characters, without actually impacting the story as a whole. The amount of information given by heavy dialogues from the characters can be off-putting, and need to be carefully addressed. It may not be as good as the previous Monogatari season in term of story and definitely feels like a filler but it is indeed enjoyable nevertheless.